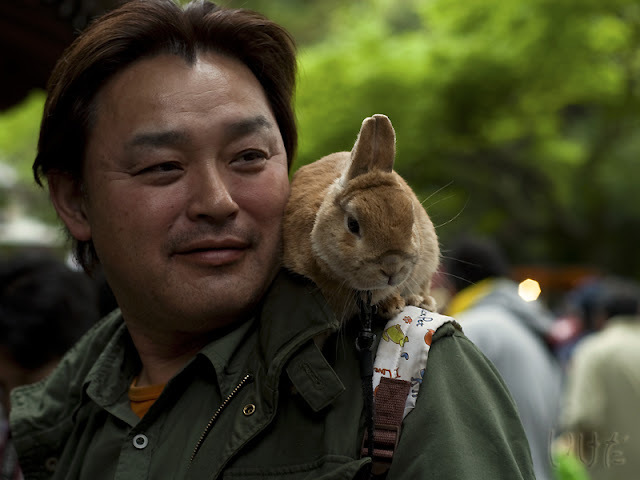 Lovely photo- the rabbit in Japan seem to have smaller ears than the UK rabbits?! Cute rabbit indeed. 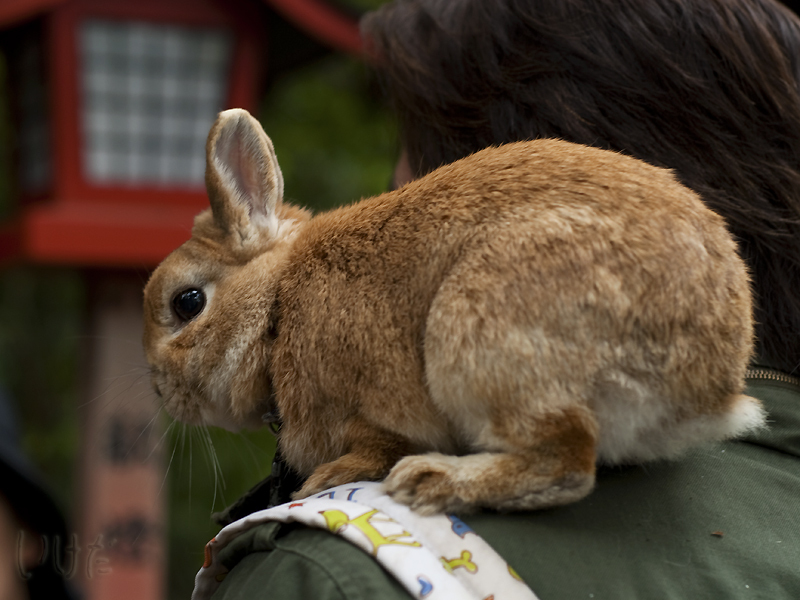 But rabbit perched on owner's shoulder and went out and about. That I have never seen here! LOL look the last pic of this post : http://www.lifeyou.tv/hikawa-maru-a-survivor-in-yokohama-bay/ haha, small world ne! A very cute bunny indeed! I think it would be a fun pet to have at home!